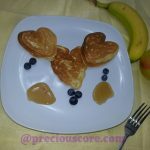 Pancake Recipe for Kids: Fluffy, tasty easy-to-make pancakes every kid will love to eat and love to make! This is such a treat in our household whether for breakfast, lunch or dinner. Check out a video of me and my girls making some below! Disclosure: This post is sponsored by Whiskware. All opinions are 100% my own. 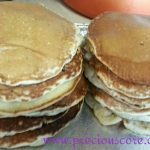 A pancake recipe kids love and can participate in the pancake-making process is a win-win for me! 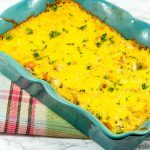 My kids totally love this recipe! 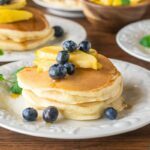 In fact, my middle girl suggested that we should devote our homeschool time to cooking because she was so excited to make these pancakes with me! 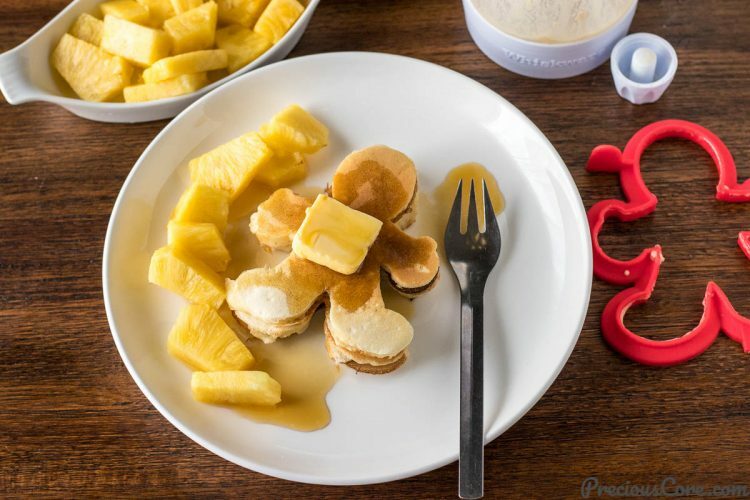 What made my girls so excited about these pancakes were the fun pancake molds we used. The molds are from my friends at Whiskware®. 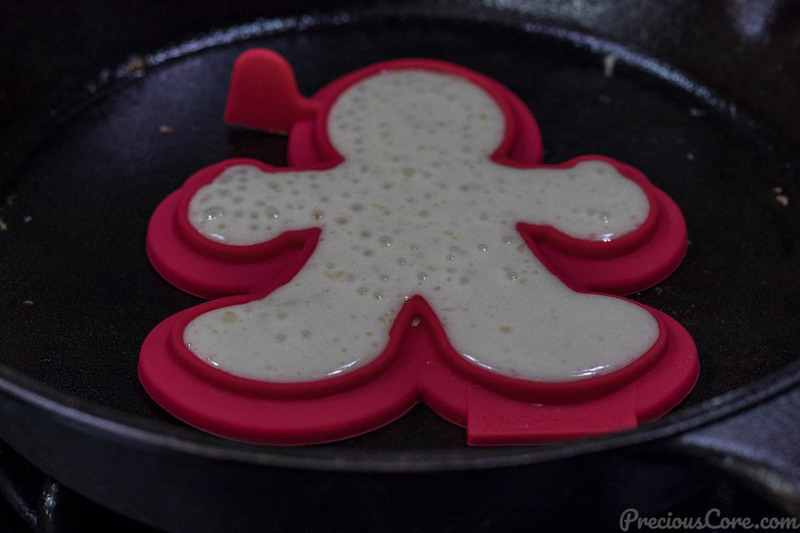 We used their Pancake Art Kit which includes a batter mixing bottle (so no dirty mixing bowl!) and 2 fun shapes: a dinosaur and a pancake man which my girls call “gingerbread man”. 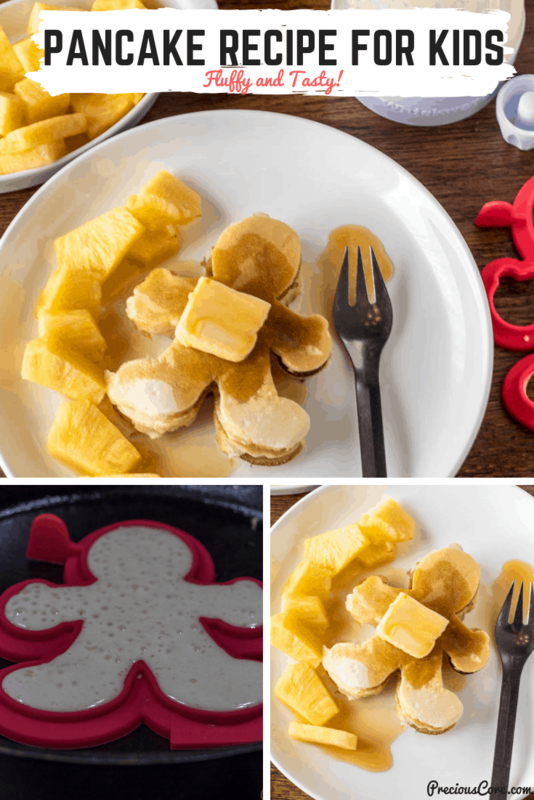 The pancake art kit together with this Pancake Recipe for Kids is such a winning combo. Have some fun cooking and bonding with your kids while you make a tasty meal to nourish their bodies. Because you know, life is too short for boring pancakes! 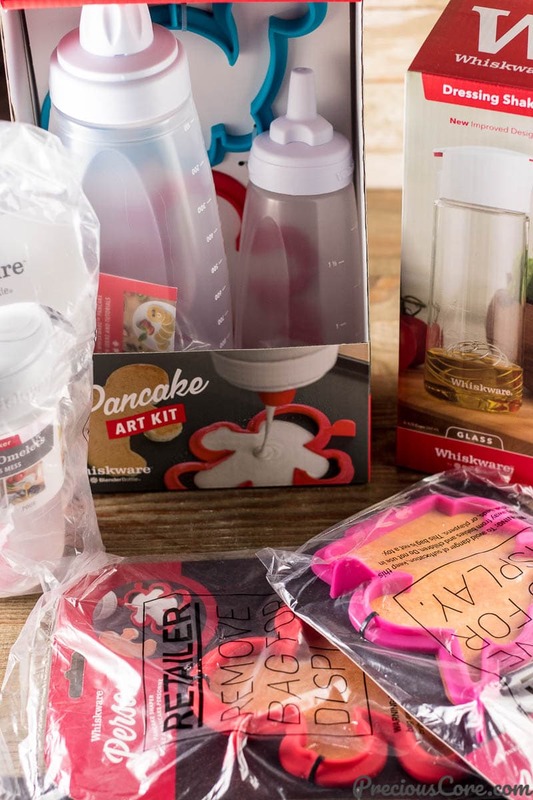 I’m giving away a Whiskware Pancake Art Kit, an extra batter mixer and a unicorn pancake shaper in this post. See how to enter at the end of the post! 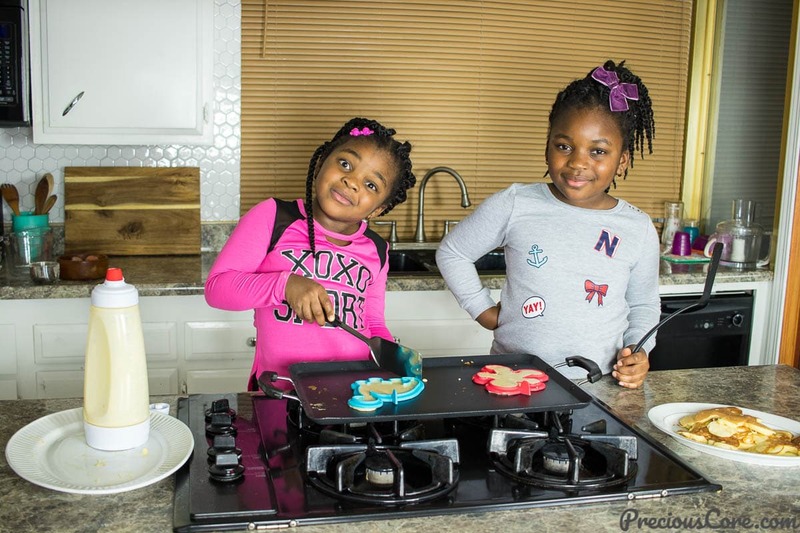 How do You Make Pancakes for Kids? I like to keep my pancakes simple with basic ingredients: flour, milk, eggs, butter, sugar, salt, baking soda and vanilla extract for flavor. 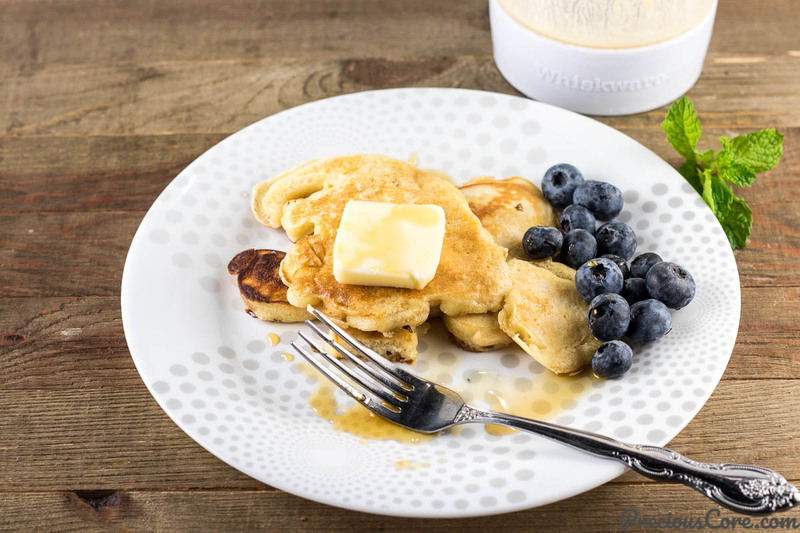 To make the pancakes lighter, I would sometimes swap the butter for a healthier oil swap the sugar for honey and/or swap the all-purpose flour for whole wheat flour. An important pancake principle for me is more eggs and less baking powder. Too much baking powder will result in pancakes having a not-too-pleasant bitter end taste. Meanwhile, more eggs, on the other hand, add more nutrition and make the pancakes fluffy. So more eggs over baking powder any day for me! 1. Combine milk, eggs, vanilla extract, melted butter, salt and sugar in a batter mixing bottle. Shake until combined. It is okay for the batter to still have some lumps. 2. Heat up a skillet or griddle on low-medium heat. Spray a pancake mold with oil then place on top. Pour in batter to fit the mold. 3. Let it cook until bubbles start to form on top – about 2-3 minutes. Then remove the mold and flip the pancake with a spatula. And that my friends is how you make fun pancakes for kids in 3 easy steps. Life is too short for boring pancakes! Serve the pancakes warm with your favorite toppings. I served it with some butter, maple syrup and chopped pineapple. You can’t go wrong with those! My kids totally enjoyed it. I also served it with some blueberries when we made a recipe video for this and they loved it so much! 1. The batter in this recipe works best with pancake molds. If you want to make regular pancakes with the same batter without the pancake shapers, it will be runny. So keep that in mind. 2. 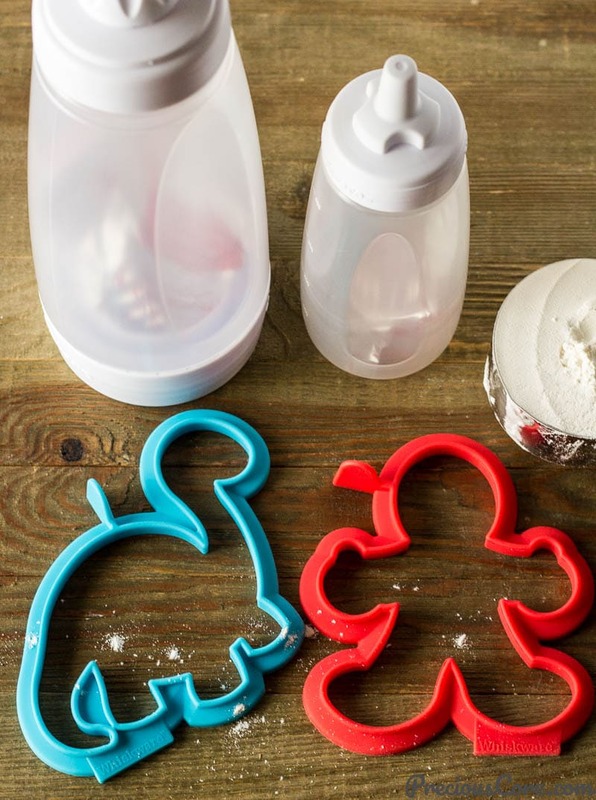 When using the Whiskware Batter Mixer, start by adding the wet ingredients first before the dry ingredients. This ensures that a clump of flour doesn’t form in the bottle. 3. It is important not to overmix the batter. Stop mixing once everything is combined. It is okay to still have some lumps. 4. If using a cast iron skillet to make the pancakes, note that it will get hot faster than a regular skillet so it is important to cook your pancakes on low heat. 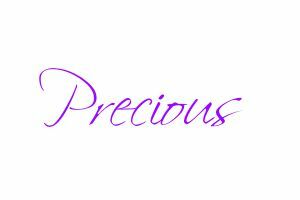 The winner of the giveaway is Veronica Konglim. Please check your email for instructions on how to get your price. 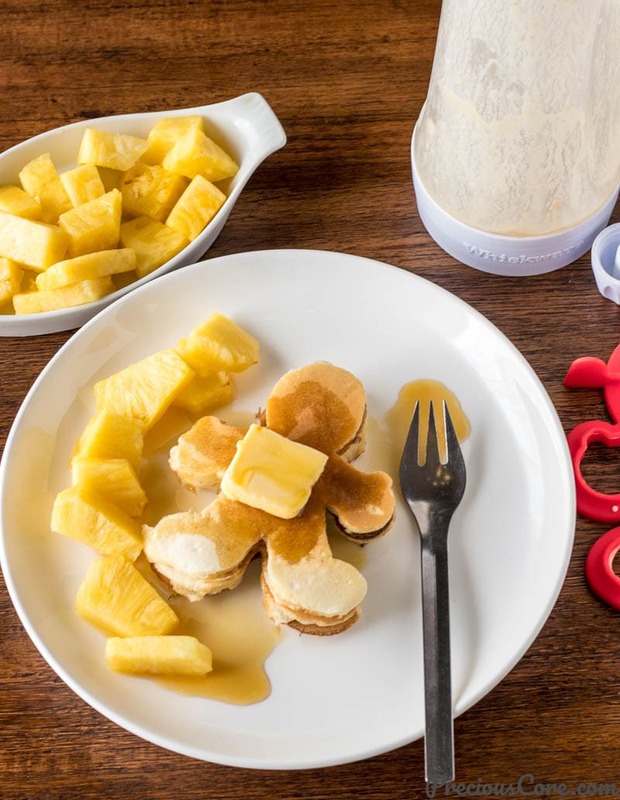 For the Giveaway, sponsored by Whiskware, the winner will receive a Whiskware Pancake Art Kit, a Batter Mixer, a pancake unicorn shaper, a pancake man shaper, an egg mixer, a Dressing Shaker to make your life in the kitchen more fun! Simply leave a comment below or under our YouTube video telling me what your favorite pancake recipe is! The winner will be randomly selected and announced on Monday, November 26th before the end of the day! I will send the winner an email. Good luck! The giveaway is open only to those in the United States and it closes on Monday, November 26 at 12 noon Central Time. The winner will be announced both on this post and as a comment under the pancake video on YouTube. Check out lots of Whiskware’s products here. They make life in the kitchen easier! Easy Pancake Recipe for Kids. My kids love these pancakes with some strawberries and chocolate-hazelnut spread as toppings. Place all ingredients in a Whiskware Batter Mixer starting with the milk, eggs, vanilla extract and butter then add all the dry ingredients. Close the batter mixer and shake until all the ingredients combined. It's okay for the batter to be slightly lumpy. Rub oil/butter on a skillet or frying pan. Heat up on medium heat. Pour pancake batter out of Batter Mixer unto skillet to form a pancake shape of choice. Let it cook on one side for about 2-3 minutes until bubbles start to form on the top then flip tp the other side and let it cook for another 2 minutes. Repeat process with the rest of the batter. Serve pancakes warm with toppings of choice. 1. Any milk will work in this recipe. Whole milk or low-fat milk is okay. Sometimes I use evaporated milk because I love the flavor it adds to meals. 2. 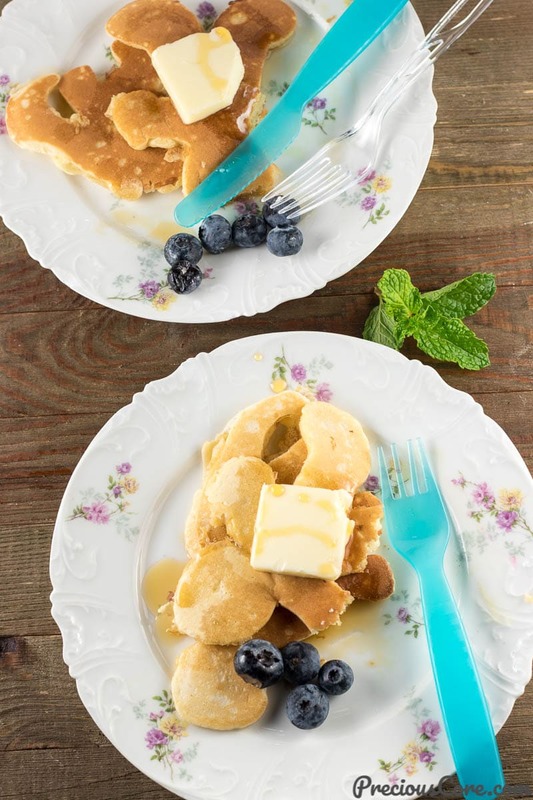 You could substitute the flour for whole wheat flour and the sugar for honey to make lighter pancakes. My favourite pancake would be the coconut pancake. Nothing comes close. It’s second to none. Hahaha you are right, Rita! Coconut pancakes are so good! 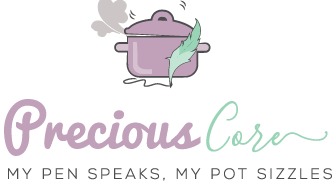 Our favorite recipe has always been my grandmother’s (and I am a grandmother now!) made with egg whites and truly fluffy. My grandkids (10 of them!) would love to try the molds. Egg whites make pancakes so fluffy! Thank you for sharing! That’s right. Picky kids are more likely to eat when the food is made into fin shapes. Share the knowledge to the on coming generation. I am proud of u my dear. Thanks so much, Jeannette. You are always so motivating! Awww glad you guys love it. Thanks for sharing. I love the crepe pancakes. I think they are versatile. You can make then sweet or savory, many options to stuff them too. I babysit my friend’s kids alot and they love crepes stuffed with nutella. Makes the sleep over weekends something to look foward to. You are always so encouraging. Thank you! We love crepes too in every form. Such a delight for breakfast! Old fashion pancakes are my favourite. Flour, Eggs, milk, sugar, a bit of salt and nutmeg for flavour 🤤. So yummy.